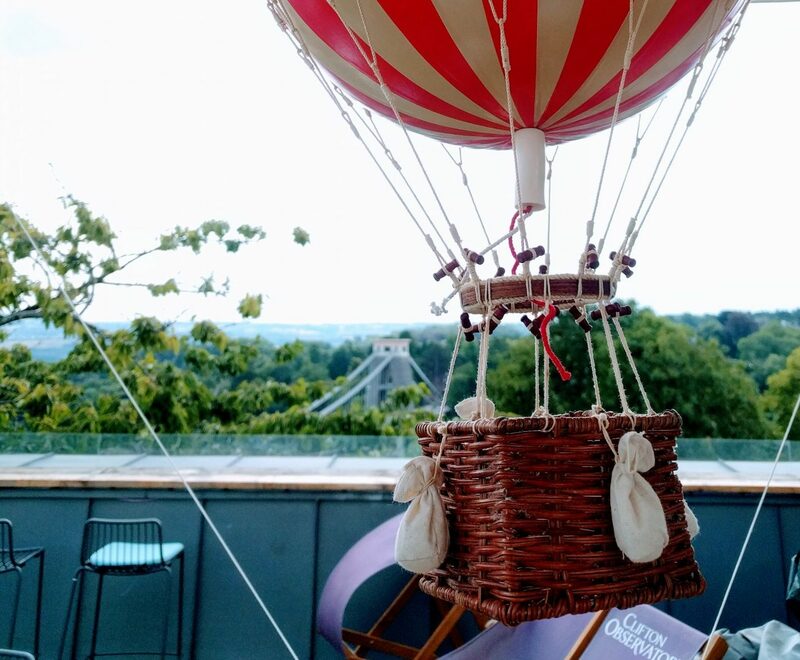 Bristol’s world-famous Balloon Fiesta began today; with just three days left, we wanted to remind you that we’ve extended our café opening hours to join in with the celebrations! 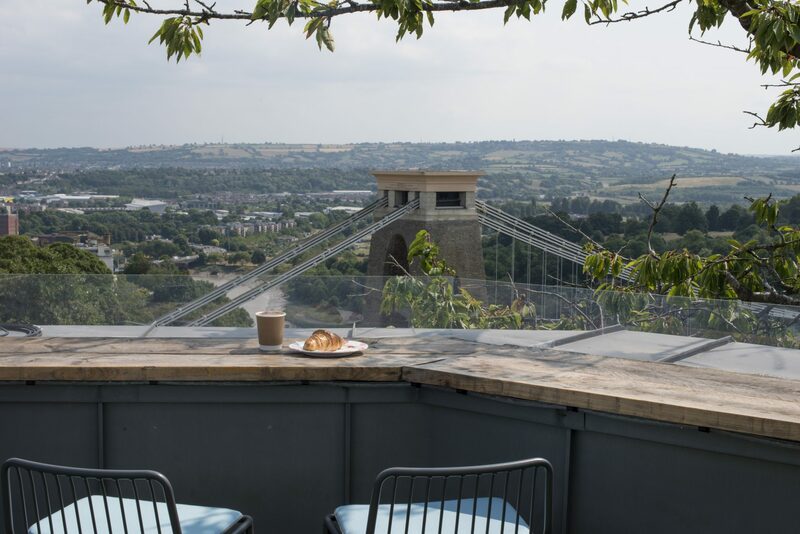 Situated upstairs on our rooftop terrace, ‘360’ is named for its spectacular views across the Bristol countryside and cityscape, and there’s no better place from which to watch the balloons before they disperse over they city! Join us for the mass hot air balloon lifts at 6am and 6pm, this Friday, Saturday, and Sunday. We’ll remain open right through, from the early morning lifts ‘til 9:30 pm on Friday and Saturday, and 8:30 pm on Sunday. 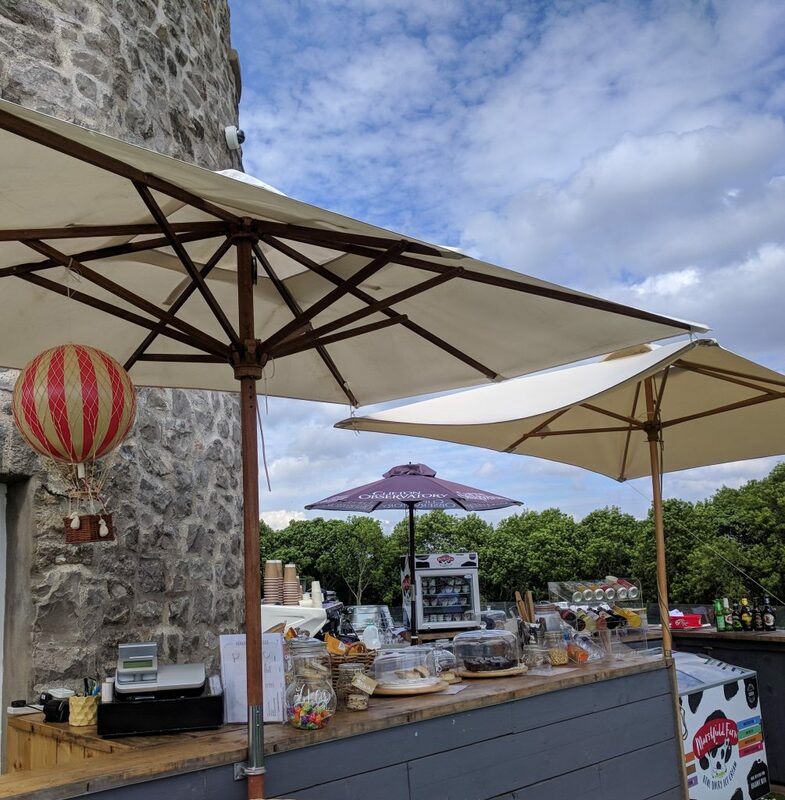 Against a leafy backdrop, our friendly team will be serving a selection of the best local refreshments, including Bristol Twenty’s colourful and classic teas and coffees, Cakesmiths’ sweet treats (many of which are gluten free and vegan friendly) and Marshfield’s irresistible ice-creams. After the Fiesta, we’ll be back to business as usual – you can join us from 10 am to 7 pm, every day of the week. This is subject to change based on the ever-fickle English weather and resulting custom, but you can always contact us before setting off to avoid disappointment. In a prime walking spot at the top of the luscious Downs, we of course welcome dog-walkers, with well-behaved four-legged friends on leads, seeking a place to pause. Whether you’re grabbing coffee to go or a quiet glass of bubbly (served after midday), we are happy to offer a calm, family-friendly space in an otherwise bustling city. If you like your brew with a view, then 360 is the place for you! PLEASE NOTE: We do not have customer toilets. 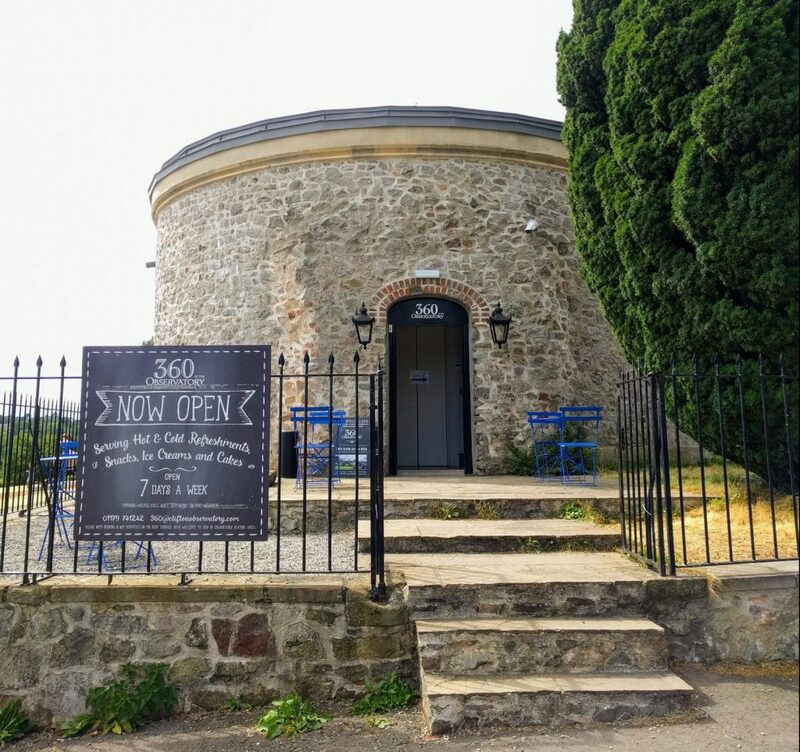 The nearest facilities are by the Clifton Suspension Bridge. For everybody’s safety, we operate a zero tolerance policy concerning dangerous or disrespectful behaviour. Children must be supervised at all times. Sitting or standing on the ledges is strictly forbidden. More accessible seating, a few steps above ground level, is located by our entrance. Considerate smoking is allowed in this area only. 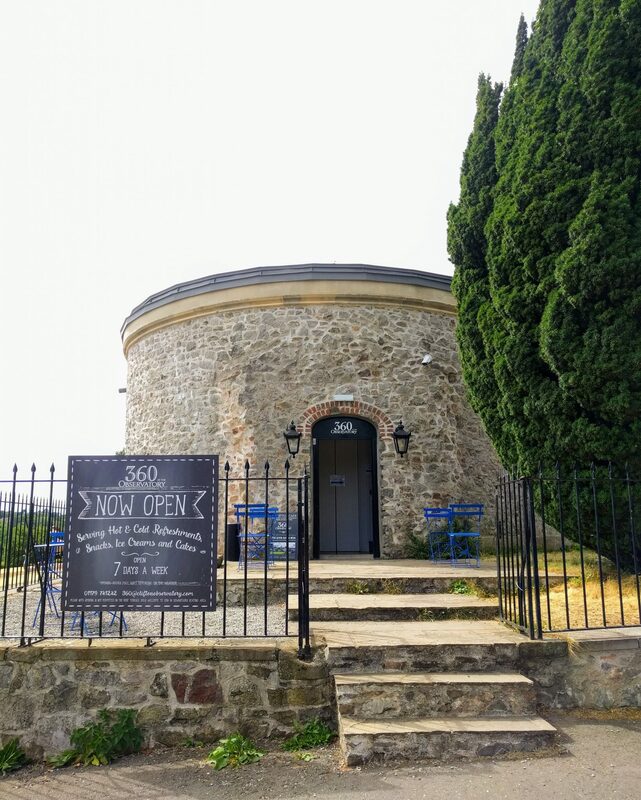 An Iconic Venue: Clifton Observatory is ready to host your eventClifton Observatory welcomes Wallambard to the Team!